Latest Caterpillar CAT ET 2017A Electronic Technician P/N 317-7485 CAT3 Professional Heavy Duty Truck Diagnostic Tool New Available!! CAT Caterpillar ET Diagnostic Adapter III is the latest generation of the Communication Adapter group, and replaces the Heavy Duty Diagnostic Comm Adapter II. This is the only recommended communication device for et 3,and the only datalink device that will allow you to properly communicate with a CA engine on dual datalinks. This function is needed for some ET (Electronic Technician) functions. 5.Automatically selects J1939/11 when flashing the engine (reduces the flash time approximately 80%, from 14 minutes to 3 minutes). -Display “Logged Event Codes” to show engine over speeds,High temperatures, fuel consumption, etc. 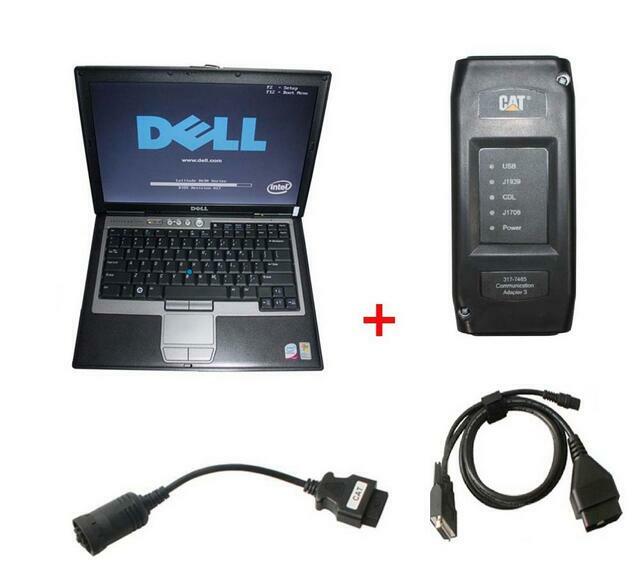 CnAutotool.com provide best quality CAT Communications Adapter III with laptop. You can get it to work when you receive the package. Our engineer will activation the software for you, it is very convenience and easy to use. ← How to Setting WIFI Connection for Volvo 88890300 Vocom Interface ?